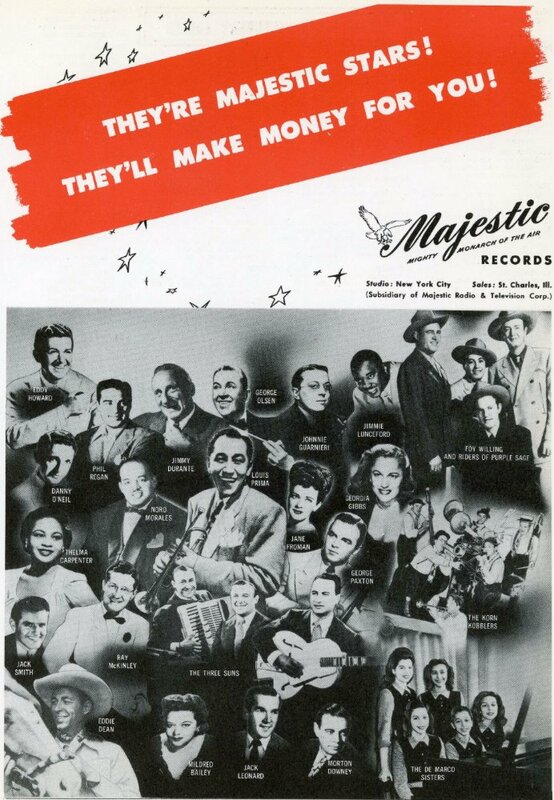 Above: Full page clipping from Billboard Music Yearbook 1946. 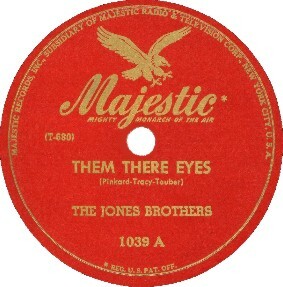 Majestic was located in New York City, although their sales offices were in St. Charles, Illinois. Gene Tracy was Chairman of the Board and Ben Selvin was A&R Director. 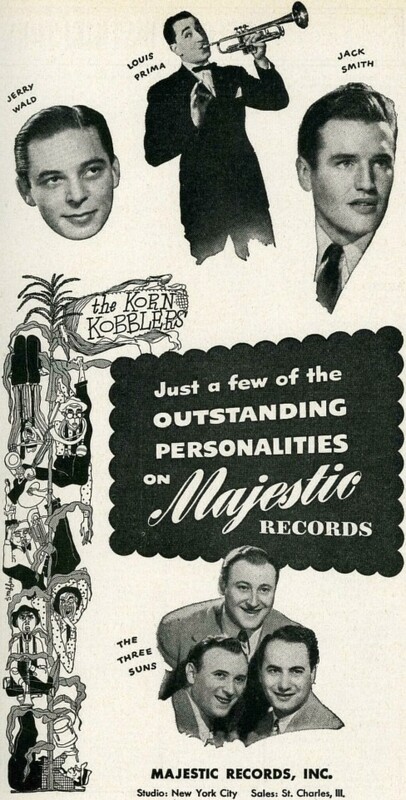 The Majestic catalog was acquired by Mercury circa 1949. 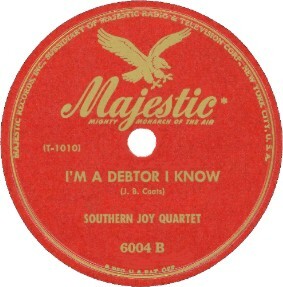 Some other artists with releases on the label were Thelma Carpenter and The Deep River Boys (1945-46), The Harmonaires (1948), Deek Watson and The Brown Dots (1948), and Dusty Brooks and The Four Tones (1950). Above: Clipping from Billboard Music Yearbook 1945.